We offer following products in this category and description for the products are given follows. we offer high quality products. Our range consists of attendance control systems, fingerprint access controller, access control systems, attendence system. Designed with superior quality components at vendor's end, these products are widely used in different industries. We offer Bio Access V2 with GPRS which is a thumbprint scanner. Bio Access v2 PLUS is the New Age Device with Optional GPRS Feature to transfer the data via GSM Network. It’s a very robust device suitable for factory environment with 7.4v inbuilt lithium battery. It can be used for Time Attendance and Access Control applications. 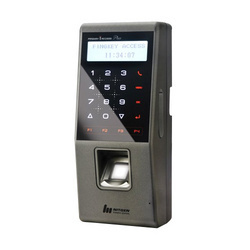 We are a leading organization engaged in manufacturing and supplying a quality range of Fingerprint Access Controller (NAC 3000 Plus) Fingerprint Access Controller is the-state-of-the-art biometric system by adopting fingerprint technology, which has very excellent biometric security and users’ convenience. 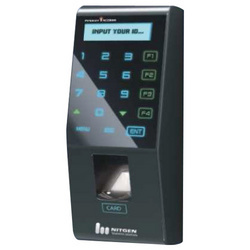 Designed and manufactured with the sensor and algorithm developed by NITGEN’s Superior Biometric technology, Fingerprint Access controller has a very accurate and speedy fingerprint identification rate while a user can build very robust security system at inexpensive cost. Also, if using the server management program of which network configuration and functions have been strengthened, you may advantageous apply it for access control system and time and attendance Management of enterprise Level. Our range is widely catered to numerous industries and is appreciated for its hi-end performance. Suitable for Time & Attendance management by supporting functional keys (attendance, going out, return). Strengthening user's setting (ID digits, voice information, sensor option, operation mode and etc). Improving user's convenience by Auto-On, short ID, Group matching function. Supports various security type by the combination of authentication methods (fingerprint, password, RF Card). Note : The Product Price Ranges from Rs 10000 to 85000 Per Piece. Remote control and real-time access monitoring by means OL server program (Access Manager). Various authentication media supported Fingerprint/Password/ RF card or any combination of the means. We are engaged in offering wide range of Fingerprint Time Attendance system that is used to recognize fingerprint and record it in the database of the system intelligently. It has the feature of changing patterns and skin of fingers placement. It avoids false and repetitive detection of Fingerprint of the system. 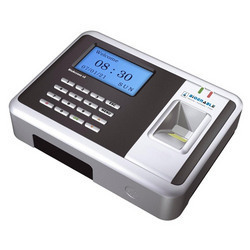 We offer these Fingerprint Time Attendance system to our valuable clients after complete quality and performance measures inspection. 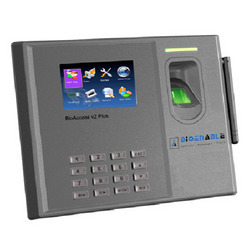 This Bio Access V2 is a High Quality Biometrics Fingerprint Based Time Attendance System. It has TCP /IP (Ethernet) connectivity with USB Disk for easy data download. With a capacity of storing 1000 fingerprint, it’s useful for 500 users. Using professional and flexible management system of enterprise time record to satisfy the complicated and unique need of enterprise.